Recently, we been seeing a new breed of TDL variants going around. These variants look to be clones of the notorious TDL4 malware reported by Bitdefender Labs. 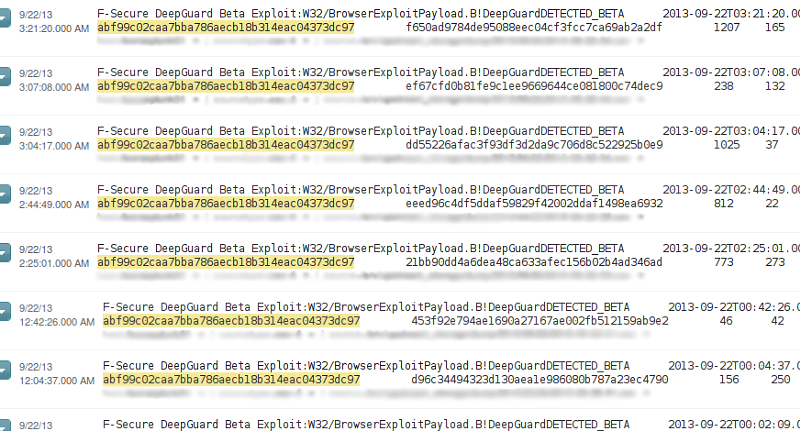 The new TDL dropper variants we saw (SHA1: abf99c02caa7bba786aecb18b314eac04373dc97) were caught on the client machine by DeepGuard, our HIPS technology (click the image below to embiggen). 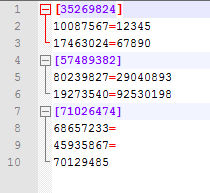 From the detection name, we can see that the variants are distributed by some exploit kits. 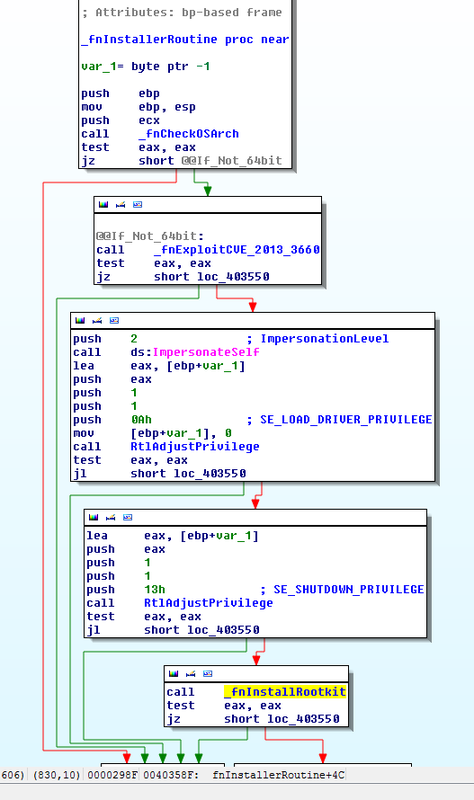 Last year, ESET mentioned a TDL4 variant (some AV vendors refer to it as Pihar) that employs new techniques to bypass HIPS as well as to elevate a process's privileges to gain administrator access. The droppers of the variants we recently saw also use the same techniques mentioned in ESET's blog post, but with some minor updates. This is hardly the first malware family to exploit CVE-2013-3660, but it is a neat demonstration of how fast malware authors take up publicly available exploit code - in this case, the exploit code went public three months ago.